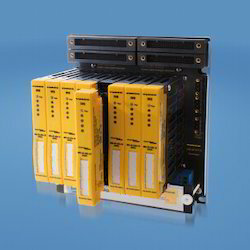 Creating a niche of Turck Industrial Module Cartridge such as Din Rail Device, IP67 Cartridge, IMC Series and IMB Series, Back Plane at its best, with utmost quality. We offer a wide range of Screwed Connectors. 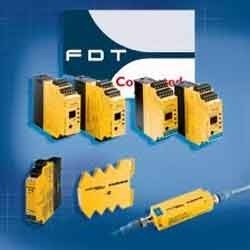 Our clients can avail from us a comprehensive range of TURCK Interface Im Mk. These are widely demanded owing to their safe operations, low maintenance and longer functional life. Our vendors fabricate these products using latest technologies and raw material ensuring high performance. Our range of Process Automation Point to Point is inclusive of Din Rail Device. We procure these products from reliable vendors having vast industry experience. These products are widely used in various industrial applications owing to their reliable performance and safe usage. 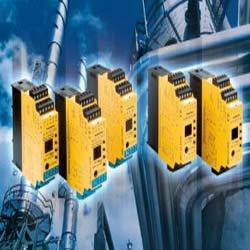 IMS series, interface modules small. We are offering Integrated Media Block Series. Interface modules are used to connect field devices safely to the control level. The key features are signal processing, galvanic isolation and safe transmission of signals from the explosion hazardous to the safe area. Interface modules are usually connected to the corresponding output cards of the PLCs one on one. As a result, mounting and commissioning becomes a time-consuming act, especially with regard to bigger projects. The IMB back plane is the right solution for these tasks. The interface cards are connected to the PLC via back plane and a standard system cable or connector. Complicated mounting and wiring errors belong to the past, thanks to power being supplied via a central feeding point.